Mrs. Morgan Bragg serves as Bookkeeper for Watkins and Company, CPAs. Her responsibilities include accounts receivables, accounts payable, sales tax, account reconciliations, payroll preparation and processing, and payroll tax reporting. As Bookkeeper, Morgan’s clients include law firms, landscaping, home health, and technology companies. Additionally, she provides a wide range of accounting and administrative assistance services to construction and retail clients. 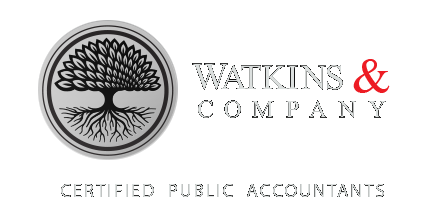 Prior to joining Watkins and Company, Morgan worked as a claims administrator for an independent insurance adjusting firm in Mississippi. Her responsibilities included claims administration and accounts receivable. Morgan was born in Waveland, MS and grew up in Jackson. She now resides in Madison, MS with her husband and their two children. When Morgan is not working she enjoys reading, watching her son play baseball, and spending time with her family and friends.